TGIF! 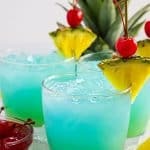 I’m gearing up for summer today with this tropical and refreshing Bluewater Breeze Cocktail! 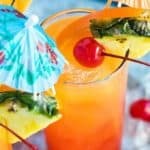 I was recently asked by my previous employer, Bluewater Real Estate and Vacation Rentals, to create a signature cocktail for their summer vacation magazine. 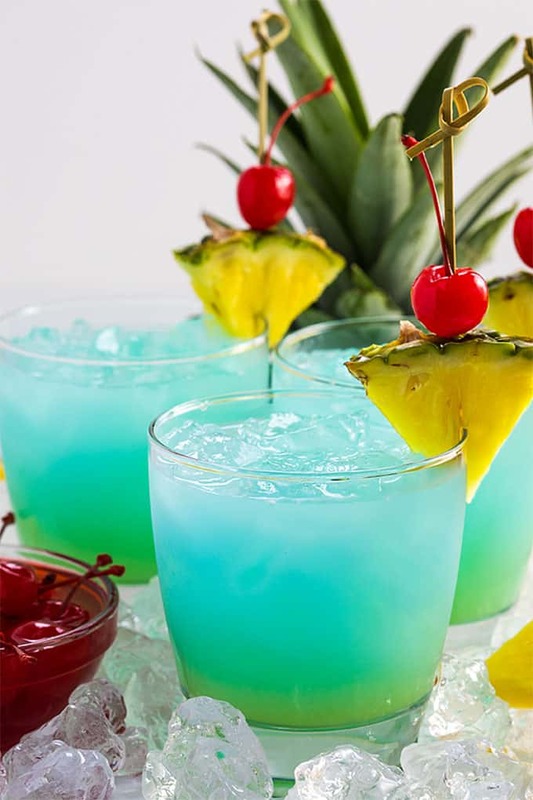 Bluewater was such a great company to work for and everyone was always so good to me, I had to create the most special cocktail for their vacationers to enjoy while visiting my little piece of paradise here on the east coast. First off, this recipe is not sponsored. I just loved the company I worked for and all of my co-workers. They were the best co-workers EVER! I remember trying to sell tickets for barbecue plates for a fundraiser for my friend’s husband who was battling cancer. When I went to my manager’s office, he told me to order a plate for the whole office for lunch, that the company was donating towards the cause while feeding all of us. How cool is that??? VERY cool. You just don’t forget when people are good to you and your loved ones. 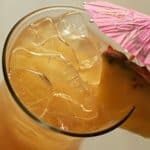 This cocktail is soooooo easy to whip up with everyday ingredients. 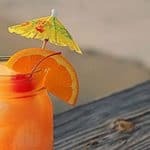 Perfect for sipping on the porch while smelling the salty ocean breeze… and if you’re not on the ocean, that’s okay too because you’ll feel like you are after you take a sip of this cocktail… Enjoy! 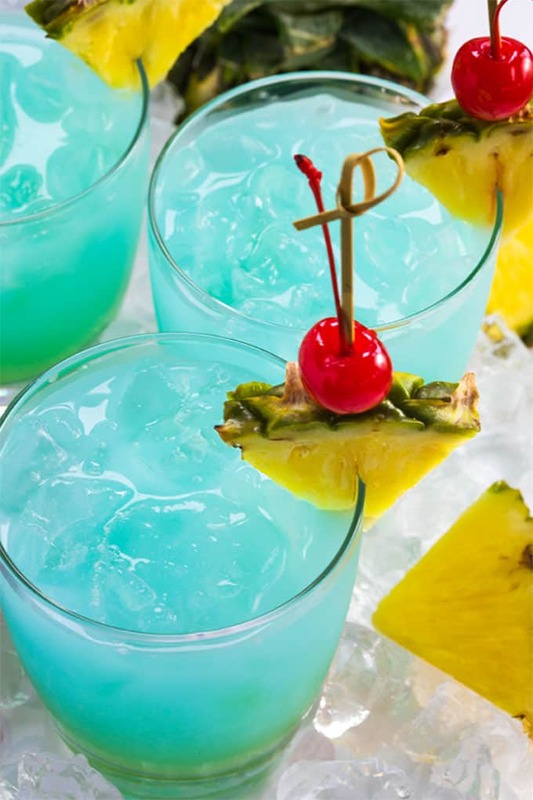 In a shaker with ice, pour vodka, coconut rum, coconut water, blue curacao and cream of coconut. 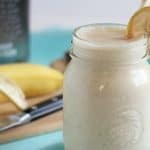 Shake vigorously and pour into a glass. 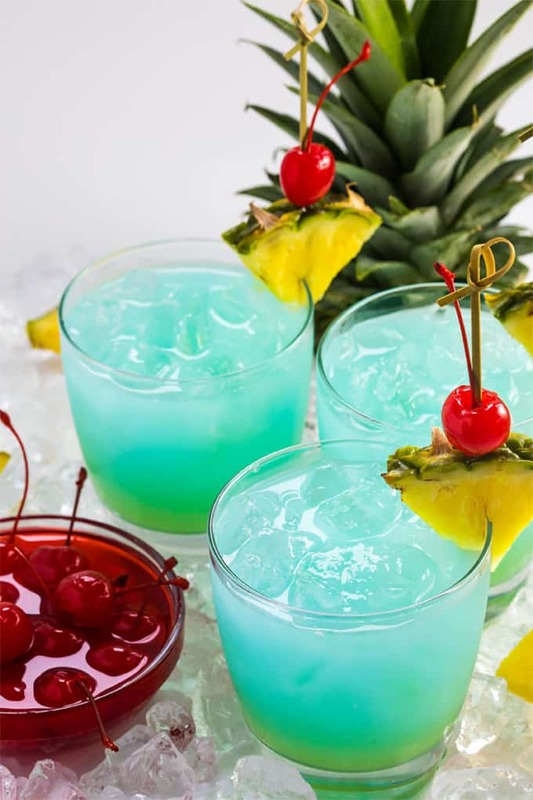 Top with pineapple juice and garnish with pineapple wedge and/or maraschino cherry, if desired. This is one of the most inspiring blog posts I’ve ever read. 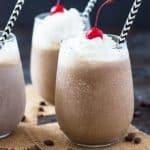 I’m making this drink and going to sit outside to enjoy nature and just be thankful now, thank you! I think this might be the prettiest drink I have ever seen! So cool and summery. Can’t wait to try it! One of the prettiest cocktails I’ve ever seen….. can’t wait to try it! This is the most beautiful drink I’ve ever made AND it’s delicious! 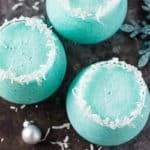 What makes is even better is the beautiful blog post. Cheers to Blue Water! I’d love to work there! Thanks so much, Faye! Cheers!